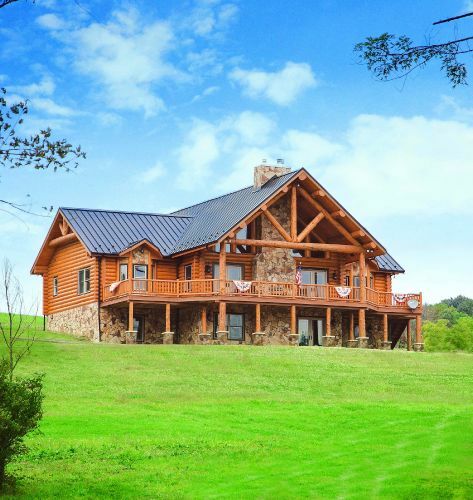 Fairview Log Homes is a family owned business founded in 1980. 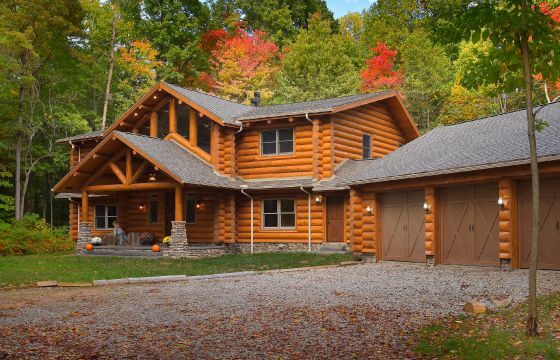 We are proud to have constructed over 200 Log Homes over the last 28 years. With this experience we are able to make building your "Dream Home" an enjoyable and satisfying experience. 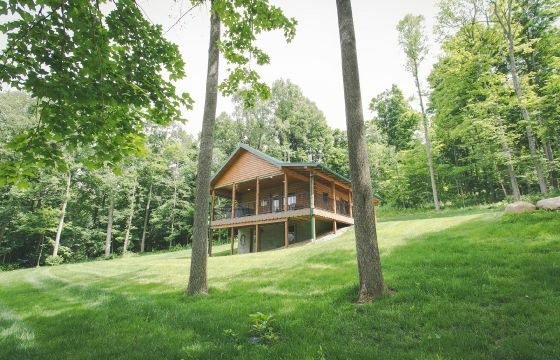 This stunning home is beautifully perched on a hill side and is built with 8" x 6" White Cedar "D" Logs and complete with an attached garage. This home built with Lodgepole Pine is perfect for a cozy little getaway or a constant stay of bliss. This Contemporary Lake Home features a unique interior combining rustic brown logs with white chinking and ceiling. 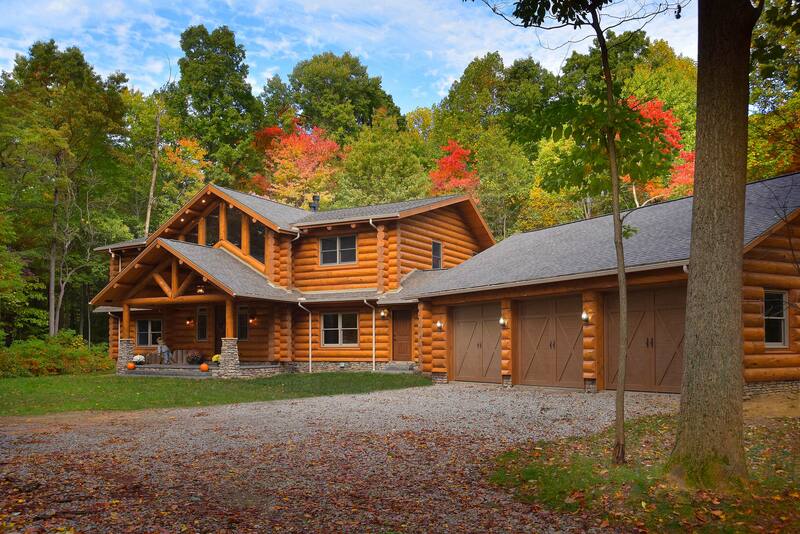 Mammoth 14" Swedish Cope Lodge Pine Logs dominates the views throughout this open concept Ohio home. We were so pleased with our first "Fairview Home" that we built a second one! The building of our home by Fairview log Homes was a wonderful experience. 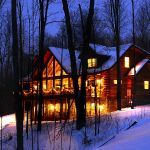 Scenic Pine Finishing, a division of Fairview Log Homes, provides complete log home interior and exterior finishing and maintenance. We also offer yearly maintenance programs to keep your home in pristine condition . Whether completing a new build or maintaining it's excellence, Scenic Pine can help. We'd love to hear from you! Give us a call to discuss ideas for the log home of your dreams.